just know something is wrong without a word spoken. Think of Captain James T. Kirk. limit to the extent of influence you can have over others. honey....there now you are thinking about flies...aren't you? 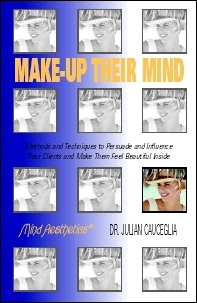 All information and material on this site is © Copyright 2001-2015 by Dr. Julian Cauceglia including but not limited to experpts from his book "Make Up Their Mind" ISBN # 978-0971740716. None of this content may be used without written perminssion of the author.